When you think of a healthy diet, juices are often incorporated. The practical way of acquiring essential nutrients, vitamins and minerals is through drinking fruit juices. Some people prefer fruit juices than eating fruits as it is tastier and convenient. One example is cherries, cherries have vital nutrients and drinking its juice is an effective way of acquiring them. Cherry juice offers several health benefits since it has antioxidants and inflammatory properties. The two varieties of cherry juice are black and tart cherry juice. Black cherry juice has a higher concentration of sugar, vitamins A and C than tart cherry juice and it can cause weight gain. Tart cherry juice, on the other hand, has a higher concentration of Anthocyanins. Sodium and potassium electrolytes in both juices are equal, and these juices are popular health choices that can be incorporated in a healthy diet. Melatonin is the hormone that regulates the body’s sleep pattern. This melatonin is present in tart cherries, and this promotes healthy sleep and can manage sleep disorders. Tart cherry juice is a good alternative for sleep medications. The accumulation of uric acid in the blood is the common cause of gout. Cherry juices contain compounds which can lower the levels of uric acid, thus, relieving gout pain. Black cherry juice has inflammatory properties which are useful in reducing arthritis pain. Potent antioxidants such as quercetin are present in tart cherry juice. 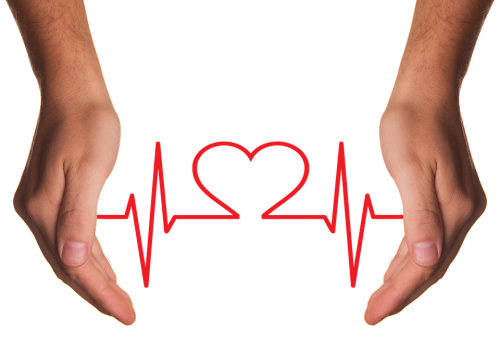 Oxidative damages caused by free radical from low-density lipoprotein can cause heart attack and stroke. Cancer came from carcinogens which can be found in water, air, and food. This carcinogen damages the body’s cells, and fortunately can be avoided. Tart cherry juice’s antioxidant compounds possess anticarcinogenic capacity. Perillyl alcohol, limonene, and ellagic acid are the chemicals which protect the body from carcinogens. These are also beneficial in stopping cell transformation which leads to cancer. The juice can be used as a preventive aid against breast, lung, liver and skin cancer. Cherries have antioxidant and anti-inflammatory properties which can help decrease muscle damage and cure muscle sores. Drinking of cherry juice can improve strength, reduce inflammation and lower the levels of oxidized lipids. Cherry juice can improve insulin levels, blood sugar, and cholesterol levels, thus lowering the risk of a type 2 diabetes. Cherry juice also decreases abdominal fat and reduce inflammations. This is the result of anthocyanin compounds which is found in cherries, and it influences the genes that control the metabolism of proteins, fats, and carbohydrates. Cherry juice improves blood circulation and memory performance and is an effective pain reliever than aspirins. The 17 different antioxidant compounds found in cherries can help the body to fight free radicals which cause aging. Anthocyanin strengthens the connective tissues and can prevent wrinkles from developing. Anthocyanin can fight carcinogens which cause skin cancer. The cherry juice has antibacterial properties that can remove toxins from the blood and fight bacteria under the skin. 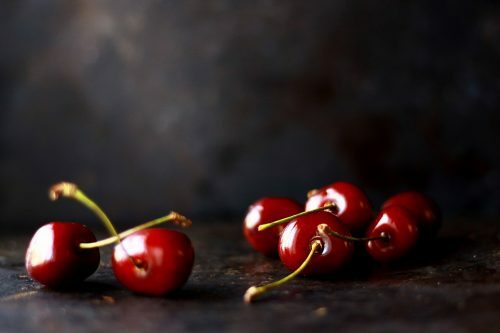 Cherry also has vitamin A which repairs damaged skin cells. Cherry has Vitamin C which promotes healthier and lighter skin. Cherry juice is rich in iron which can prevent anemia and hair loss. Cherry juice has beta-carotene and anthocyanin antioxidants which contribute to healthy hair maintenance.